The key to good dental hygiene is brushing and flossing your teeth regularly. It’s important to learn how to do so properly, as most people do it incorrectly. It’s hard to believe, but most people do not floss correctly or realize how long they should brush. Brush at least twice a day, with fluoride toothpaste, for at least two minutes. If you could brush after every meal that would be great, but certainly brush every day, first thing in the morning and before bedtime. Floss every day, typically before bedtime. Visit your dentist every twice a year an oral exam and professional cleaning. As soon as the tooth surfaces are next to each other, it’s important for your children to begin to floss at least once a day. Bacterial plaque and food will settle between the teeth, which can lead to tooth decay, bad breath and possible gum disease. In addition, gently brush/stroke your tongue to remove bacterial plaque. Start by practicing flossing on yourself to make sure you got it down before teaching the kids. Step 1: Hold a short length of floss between the thumb and index finger, twisting it around one finger at each end to gain better control. Don’t apply too much pressure when inserting the floss between the teeth. Step 2: Adjust the floss into a ‘C’ shape curve around each tooth and slide it up and down gently along the side of the tooth and just under the gum line. Step 3: Use a new/different section of floss for each tooth to avoid reinserting food particles and/or plaque. 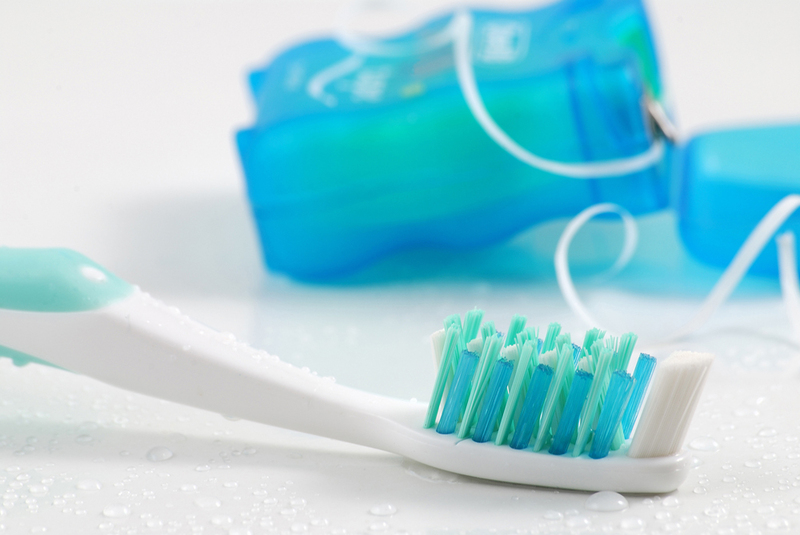 Step 4: You can use and interdental brush to clean between tooth surfaces that have space. Albrights Dental Practice treats adults and children in a relaxed and caring environment. Call today to schedule an appointment (610) 821-8024. Next ArticleHow Does Teeth Whitening Work; Why Consider It?